These are all really good questions, and what I have found over the years is that not everyone needs counseling, but almost everyone can benefit from coaching. The first few steps down the road of any journey are the hardest to take. The key is that you begin! What I’m referring to is the journey of your marriage. I want to share something with you and it is not intended to rub you the wrong way, it is intended to motivate you to move into a new level of love and fulfillment within your marriage. There is no doubt about it, that a successful marriage is a process. That means we need to make sure we have implemented the correct process to get the desired results. When the right process are in place you can’t help but to watch the love in your marriage mature and grow to a level that creates increased joy and fulfillment. When you begin to take those first few steps that move your marriage in the direction of growth, you open the door to a renewed hope, a renewed dream, and a renewed passion that your marriage can and will be all that God has destined it to be. So, how do you take those first few steps that create a marriage that lines up with the ways of God and moves you into the fullness of His plan for your marriage? You can’t just ‘wing it’. In fact, something this important deserves more than just winging it. It deserves all of you; your time, your resources, your mind, your body, and last but not least, your heart. I believe that next to your relationship with God through Jesus Christ, there is no relationship more cherished, more important, more influential, than that of your marriage. It’s that important! I’m not saying it’s going to come without work, and I’m not even saying it’s going to be easy. What I am saying is that you are worth it and your marriage deserves it! I want to come along side you as your marriage coach and help you take the right steps. This means I am going to be there with you from start to the finish; giving you guidance, answering your questions, challenging you, pushing you, and encouraging you all along the way. 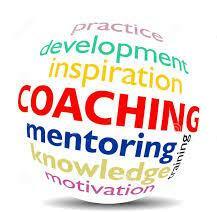 As your marriage coach I look to come alongside you and help you get from where you are to where you want to be. I will guide you through the challenges that make up the union of marriage and help you to move forward with confidence in the midst of change. During the coaching process we look to introduce you to new skills that will help you overcome obstacles, and maintain a clear focus & direction to get you where you want to be. My goal during our coaching time together is to create an environment that inspires and moves you to create the kind of marriage that you have always dreamed about. Our coaching time together is about expanding your vision for your marriage, moving toward that future. I want to help you reach the true potential for your marriage, to help your marriage become all that God has called it to be. When you marriage is aligned with the ways of God, you can’t help but receive the many blessings of God in your marriage. I currently offer a limited number of spots into my “Covenant Love” marriage program….. I have had the awesome pleasure of coaching well over 100 couples in a one to one & group setting. A combination of group and 1 to 1 coaching offers one of the most productive and successful means to reaching your marriage goals. The 3 Month Marriage Intensive is meant to equip you with the skills you need to set your marriage on the path to true blessing! In this program we create an out right attack on the number one cause of divorce around the world. We identify it, and we create a working framework to prevent it from having any power over your marriage. We take a deep dive into each of the 3 pillars that make up the “COVENANT LOVE” program…. Here are just a few of the the things you will learn after completing this 3 Month Marriage Intensive. The power of agreement: Unity, connectedness, Equally Yoked, oneness, covenant commitment, establishing a marriage path, and creating a marriage environment that releases God’s blessing…… Oh my goodness, I have so much wonderful information to share with you in just this one Module, it could probably be a standalone course. This Module might be like drinking water from a fire hose! The What, the Why, and the How of Love: In this Module we will break down love in your marriage; what it means to you, specifically, and personally. And how to make sure there is never a shortage of it. Have you ever heard a sad but true statement from someone who is in a difficult place in their marriage say, “I just don’t feel like I know him anymore” or “We don’t have that spark like we used to have in our relationship.” Those kinds of statements will be a thing of the past after we complete this Module. Love Talk: I can’t help but to think about Proverbs 18:21 that talks about “life & death (blessing & cursing) are in the power of the tongue.” We are going to learn how to use our mouth as a weapon for good in our marriage, instead of a weapon of mass destruction. Learn how your tongue can become a tool for building up your spouse, for strengthening your relationship, and for releasing even more of God’s blessing into your marriage. Understanding personalities: Who is my spouse, why does she think that way, and how to effectively communicate with him in times of; crisis, uncertainty, and conflict. Intimacy: You will learn how communicated love creates an environment of love. So it only makes since that I will be teaching you how to create an environment of love. We will break down the 3 main Intimacies; Emotional, Physical, & Spiritual. We will discuss why Intimacy is the key to success and true fulfillment in your marriage. This is one of my all-time favorite things to share with you! The ultimate tool of communication for a husband and wife: This takes effective communication and makes it turbocharged. If I could only spend a couple of minutes with you and share one thing that would bless your marriage to a whole new level of success, it would be this one secret. The supernatural power of just this one key is the ultimate secret to a loving and lasting marriage.’ The reason it’s so important and so beneficial to your marriage is because, at the heart of it, it’s about communication; communication between a husband, a wife, and their God. In this Module we will breakdown – why to pray as a couple, how to pray as a couple, when to pray as a couple, what to pray as a couple….. and why it is so effective. This is the single most important thing you can do together as a couple. A healthy marriage requires communication between husband & wife, and a Godly marriage comes together and communicates with the Father. When husbands and wives communicate with the Father, they set their marriage up to be BLESSED! The power of closure and forgiveness: When we come to the realization that we have received a true gift from God in our spouse, we come into a whole new level of understanding of our role in marriage. In this Module we will pave the way for: getting past the hurt & moving forward after a marriage setback, how to forgive even when you haven’t necessarily forgotten or even if you don’t ‘feel’ like forgiving (we will go through an entire ‘forgiveness & release’ exercise). In this Module we create an outright attack on Satan’s schemes. Let’s break the chains of shame, bitterness, resentfulness, and open the door to renewal! If you are serious about creating lasting love in your marriage, let’s chat. I would like to invite you to receive a FREE “Couples Roadmap Coaching Session,” with me to answer any questions you might have about the program. In this session we will look at 3 primary things. Vision for the future of your marriage. Uncover hidden challenges & obstacles that may be keeping your vision from becoming a reality. Establish a plan & process to create a loving marriage that lasts a lifetime! The idea of this breakthrough process is what I would consider the “next steps” for your marriage. At the end of the day, I want to help you both create a marriage that will endure the ups and downs. Quite frankly, I want to help you create a thriving marriage! I also want to help you avoid the many pitfalls that I see plague most marriages; like being out of balance, broken communication, & feeling discontent are to name just a few. This ‘Couples Roadmap Coaching Session’ will be a lot of fun. I will coach you down a path that most couples never get the opportunity to experience. At the end of our call, if it seems like we are a good fit, I will offer you an opportunity to see what it would look like for us to work together. Just click on Let’s Chat and we can look at scheduling a time for your “Couples Roadmap Coaching Session” and get you on the way to truly creating a lasting environment of love in your marriage! I want to leave you with just a few parting thoughts…. I know you understand how important your marriage is; it truly is a cherished relationship, a holy union, a partnership that will influence generations to come. Your marriage is that special, it’s that significant! I want to encourage you to take the next steps to create a thriving marriage. I want this material to be available to as many of you as possible. But, I also know that in order to have massive success (which is exactly what you will get), it will require you to show up and commit to making this a priority for your marriage. I am fully committed to you during this process and I only want to work with couples who are also fully committed. This will take an investment of your mind, your heart, your time, and your financial resources to achieve the transformation that you desire. If you are coachable and excited about creating lasting love in your marriage, then your the kind of couple that I want to work with. Can I give you some peace of mind? How about a 100% Satisfaction Guarantee! I’m committed to you. I know how this can bless your marriage, If you will just take the first few steps, commit to the first 30 days of this training & coaching, and if you are not 100% satisfied with your experience, then just let me know and we can discontinue the coaching relationship immediately. No questions asked, no strings attached. We know you’ll love it! Speaking of testimonies, I want to share with you just a few of the wonderful things that several people have been so kind to share with me after spending time with me in Marriage Coaching. This is just a sampling of the couples that I have worked with, that have taken the first steps to creating a loving & lasting marriage. I hope you can see how it has blessed their marriage and how it has impacted their lives. These are the same principles that my wife, Dana and I use in our marriage to this very day. They have taken us from a place of uncertainty and frustration to place of enduring love and fulfillment. You can click on Let’s Chat and we can look at scheduling a time for your “Couples Roadmap Coaching Session” and get you on the way to truly creating a lasting environment of love in your marriage! God Loves you, and He wants to Bless your marriage!